The fifth week of the EU LCS featured matches between Splyce vs. ROCCAT and Fnatic vs. Origen. 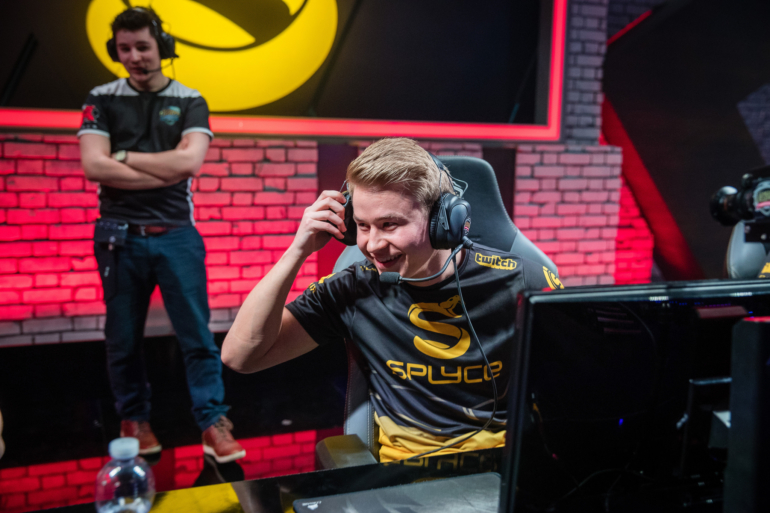 The first game of the series started out in the typical EU farm-fest fashion, until around 10 minutes when ROCCAT nabbed first blood, but ended up losing every member to Splyce. This broke open the game, as ROCCAT moved to take dragon while Splyce started sieging turrets. ROCCAT, however, was able to take down two turrets soon after Splyce took down three. The game then resorted back to a farm-fest, with two dragons and two kills being the only events that took place over the course of the next 12 minutes. At around 30 minutes, Splyce took Baron and two ROCCAT member’s lives. Soon after, Splyce moved towards ROCCAT’s base and then took down their towers, inhibitors and nexus with ease. The second game started in the typical fashion until around nine minutes, when Jonas “Trashy” Andersen found a solo kill for first blood on Kim “Wadid” Bae-in. This set the outline for the game, as there were many picks and small skirmishes throughout the game. Most of these skirmishes went in favor of Splyce, with Trashy taking many of the kills. With their massive kill, gold and item advantage, Splyce moved to take down objectives. They were able to take down nine towers, two dragons, one Baron, three inhibitors and a nexus, while ROCCAT only mustered up a tower and a dragon in that same timeframe. The first game was a rout in favor of Fnatic. With ADC Martin “Rekkles” Larsson getting first blood, he never looked back. On Jhin, Rekkles ended the game 10/0/7. However, the rest of his team helped him out by giving first tower gold at seven minutes and constantly giving him lane pressure. Origen was consistently being out-rotated and outplayed until around 21 minutes, when they were able to take a Baron off of a three-for-two trade in favor of Origen. While they were able to siege three towers, kills were unable to be found. Fnatic stalled out the game until they took their own Baron at 33 minutes and then was able to end the game soon afterwards. The second game was much like the first in terms of Fnatic dominating, but Origen had even less fight in them this time around. With Mads “Broxah” Brock-Pedersen getting the first three kills of the game, Fnatic had little in their way as they consistently pushed lanes and tried to force fights. Origen was only able to kill six members of Fnatic the entire game, whereas Fnatic earned 12 kills, 10 towers, two inhibitors, two dragons and a Baron. Who are you rooting for in the EU LCS? Let us know by sending us a tweet @GAMURScom.